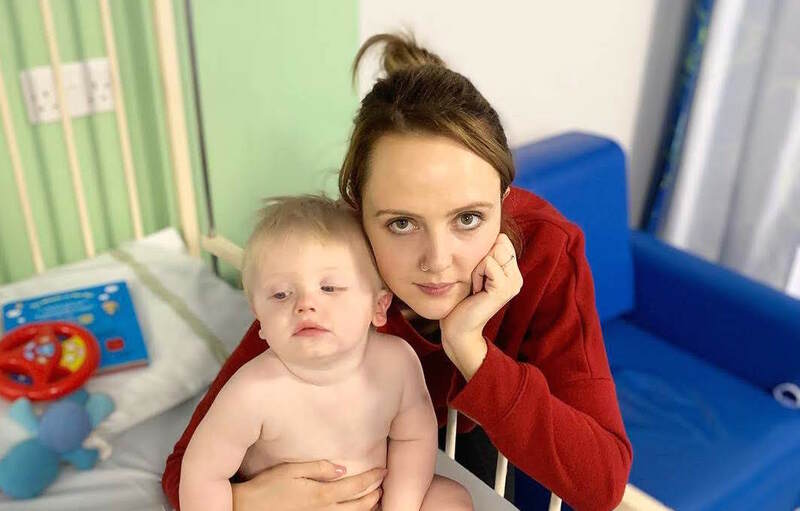 Just when we thought that my overly dramatic life was starting to calm down and become somewhat boring (even the Stroke content was wearing thin) Freddie decided that we needed to spend the night in hospital just to keep things interesting and see if my heart could handle the stress. He's such a lovely boy. 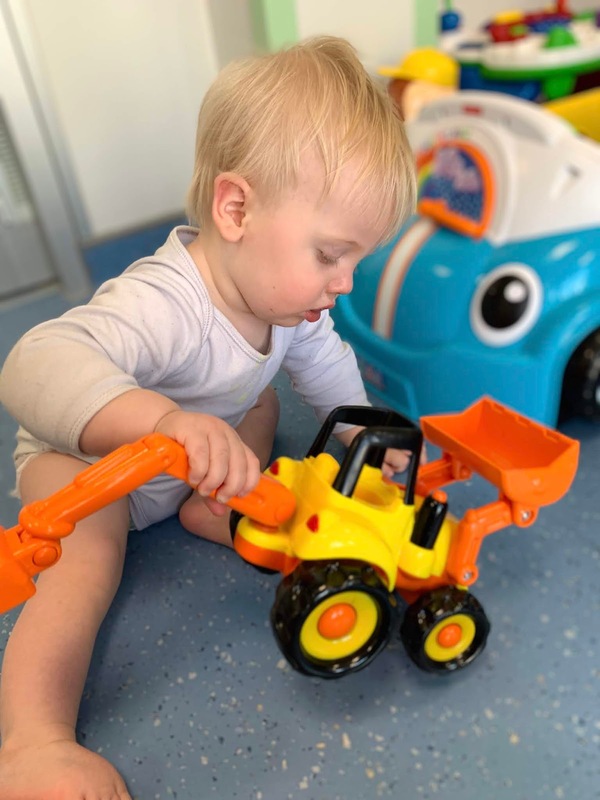 Freddie has had a cold since he started nursery or what we fondly call the germ factory, as soon as he started, he caught every bug going and managed to infect everyone he came into contact with. He's had an on and off cough since December and it came back with a vengeance the other week, my panicked little mind decided that enough was enough and I wanted to get it checked out because his sleep was suffering and he was off his food. My Mum and I carted him off to the GP and I explained that I was probably being and overly panicky Mum and wasting her time but I wasn't happy with Freddo's cough or temperature. She reassured me that being cautious is always best, agreed that he had a fever and went on to check his saturation levels. Unfortunately Fred's oxygen levels were low and we were admitted into hospital. Obviously I had a breakdown and sobbed, the Dr comforted me whilst my Mum cuddled the germ. I called Luke and said that he needed to pick us up and take us straight to the hospital, as we walked into the ward I noticed that they were setting up his cot that looked more like a baby cage and getting wires and machines ready, this made my face crumble into a mess and I looked at my Mum and through snot and tears said "I don't want to" she guided me to the nurses where I handed the germ over to Luke, the nurses started to check his sats, they confirmed that his oxygen levels were low and handed Luke a baby sized oxygen mask to put on Fred. At this point I started to panic, my arm was going numb, my heart was going like the clappers and I was too hot. I started flapping in the corner, My mum was pale, watching Fred and trying to keep me calm, Luke was pale and holding Fred and looking the most worried that I had ever seen him in my life. The nurses didn't seem too concerned which was comforting and stressful at the same time, I wanted them to do something, something big and important and make him better. They gave him some Calpol and his temperature quite quickly started to drop to something less worrying which improved his sats. I was numb at this point and pretty much convinced that he was going to die or be very poorly, Luke just looked exhausted. My Mum, being the sensible person that she is asked questions; the nurses advised that Freddie was clearly unwell but it was nothing to be too concerned about as his temperature was manageable and Sepsis was no longer a concern, they then advised that we would have to wait for Fred to be assessed by a paediatrician which meant one thing...an overnight stay. Initially I was relieved about this news, Fred seemed so knocked out by the poorliness that he was just snoozing anyway but there was no way that I'd be able to sleep if we were at home so at least we were in the best place for him where, if anything happened he'd get immediate attention. Luke brought some stuff back for us an then went home (only one parent is allowed to stay and I pulled the short straw). The paediatrician came around not long after Luke left and had a good examine of Freddie, she took one look down his throat and immediately diagnosed him with Tonsillitis, she took some swabs asked about his medical history and prescribed him some penicillin, that didn't go down well, literally and made a projectile reappearance all over me and the nurse. Amoxicillin was then prescribed which stayed down and I tried to get Fred settled for bed...didn't happen. He just wanted to lie on me and sob about how terrible his life was, but I was only making him hotter, I tried putting him the baby cage but he'd just stand up, lose his footing and bash his head on the bars and scream which disturbed the other kids and parents on our bay. 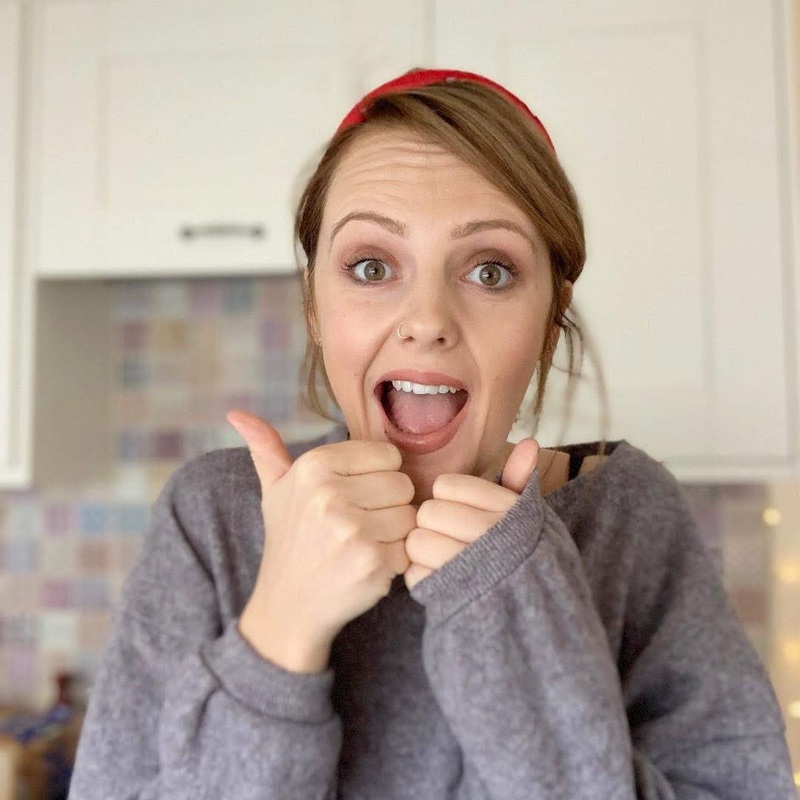 Freddie soon started to get too hot as the Calpol wore off and his body started convulsing this was terrifying but I managed to not freak out (too much) or sh*t myself which if you're a regular around these parts you'll know is a common occurrence for me. A lovely nurse reassured me that this was normal for babies and she got him some Ibuprofen as it tends to work quicker at bringing down a temperature. 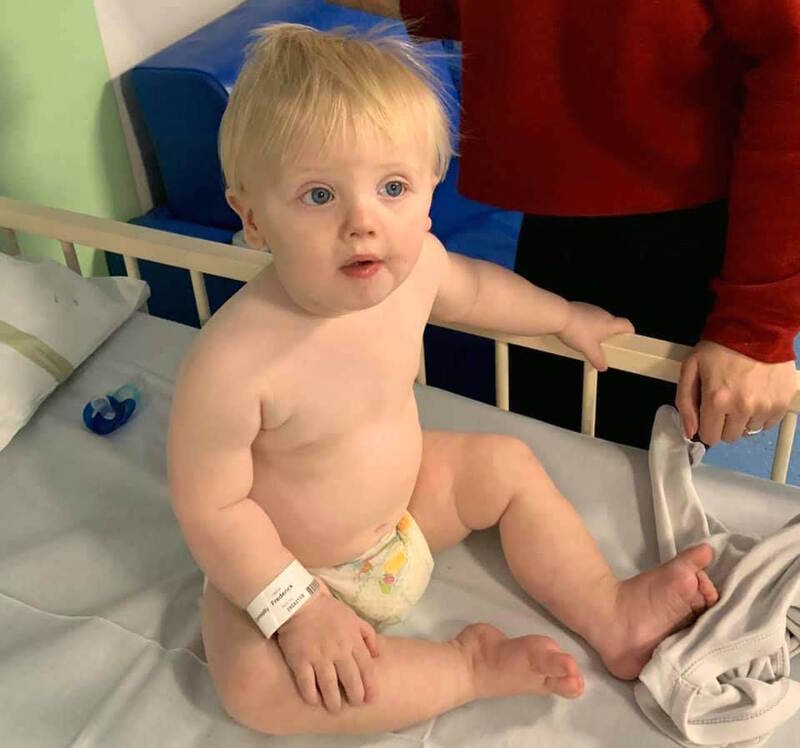 By about 11pm Freddie's sats were perfect as was his temperature and he clearly felt wonderful. Sleeping was no longer and option and he wanted to spend the night climbing all over me and screaming with delight. 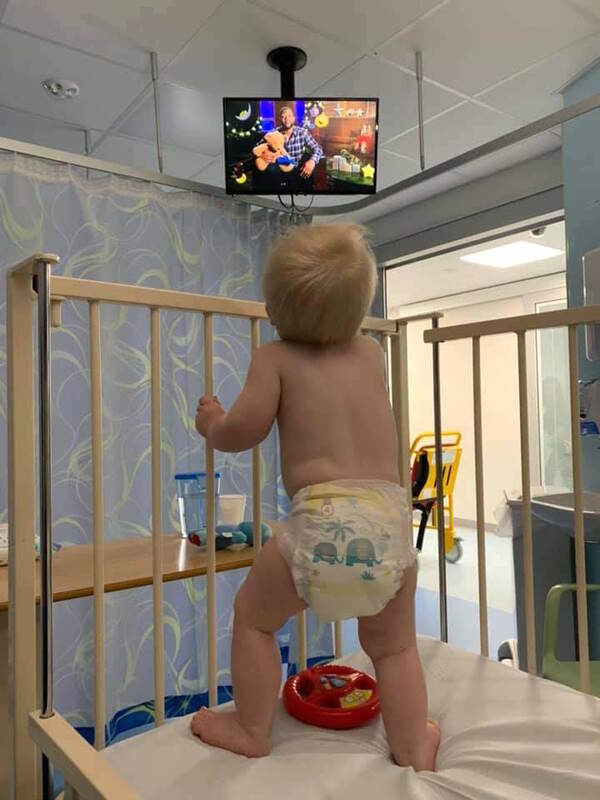 At this point he knew the observation routine and stuck his foot out ready for the monitor to be attached when the nurse came round and called every single on a good girl. We decided to go and hang out with the staff at the reception desk for a bit and Fred called them all good girls and waved whilst they were charmed by his cute smiles (I was not charmed, not at all) after this we walked the length of the ward...five times. We then went to the play room for half an hour and played with all the cars...in the dark. 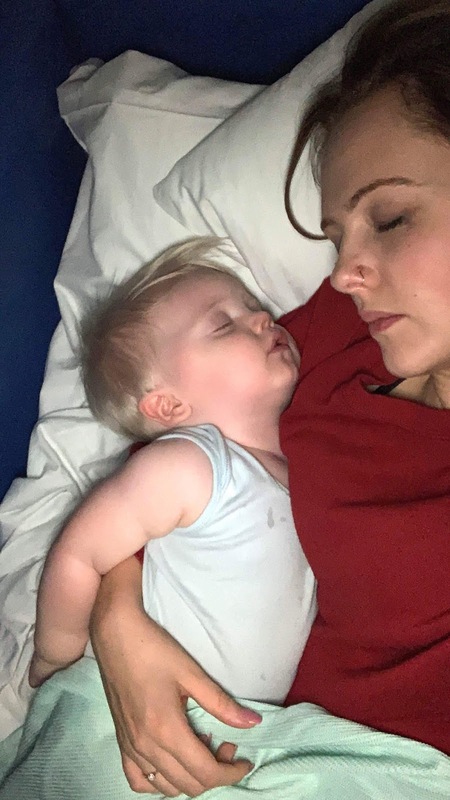 At around 4am Freddie ran out of energy and finally fell asleep on me, I moved him so slowly and snuggled up next to him, he took up most of the pull out chair whilst I crunched myself up to try and get comfortable. We slept for two hours then he woke up for some more Ibuprofen and antibiotic and was once again buzzing about the whole experience. We went to the play room, up and down the ward, and crawled around the bay. Luke left work early and came to us around a 2pm where I ran away to the coffee shop and bought a sandwich, those ten minutes of freedom were brilliant and it felt amazing to not be in that ward dealing with mental Fred. Awwwww I'm so glad he is okay, but no way would I be up for a stay after seeing how little you slept. It looked like hell! Poor little thing!